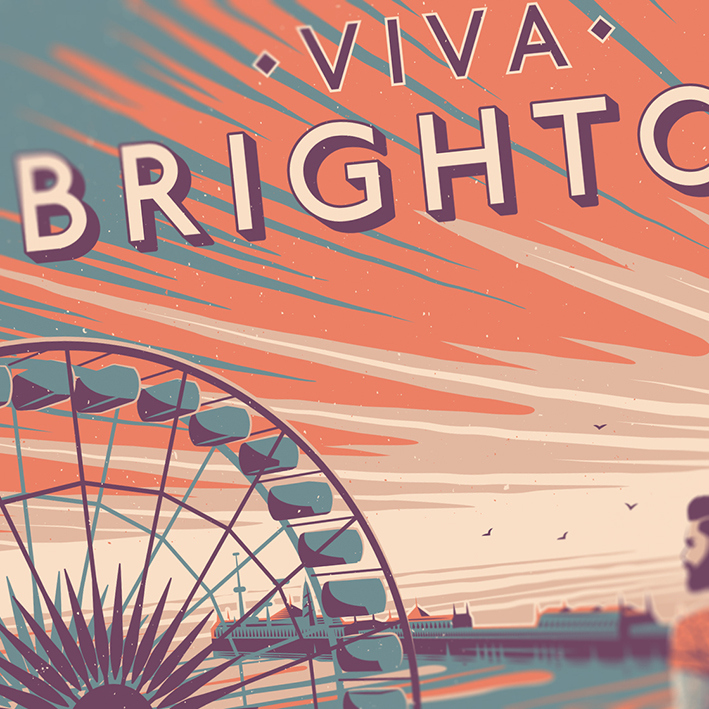 After only a few weeks of relocating to Brighton, England after living in New Zealand, I was approached by Viva Brighton – a local magazine covering all aspects of the alternative, creative, quirky, buzzing seaside city I now call home. The publication is a local institution – a free copy arrives through everyone’s mailbox every month and multiple copies can be found stacked in every cafe and shop. 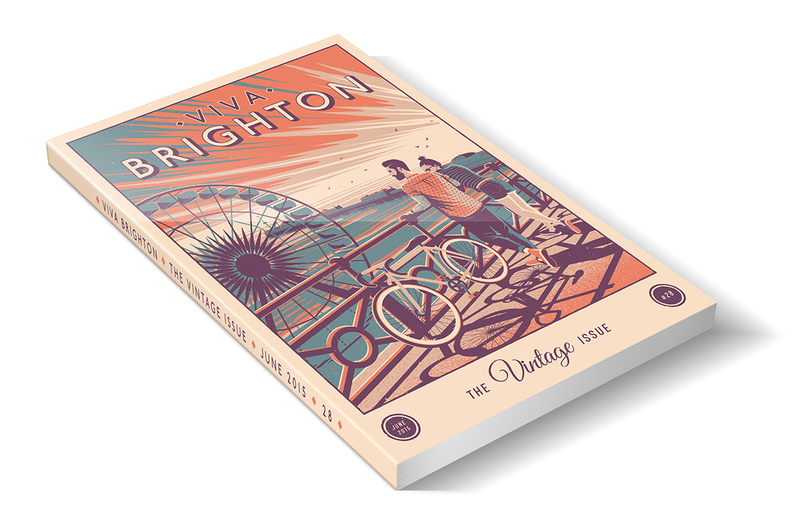 Every issue, the editors at Viva commission a local artist to design the cover based on the over-riding theme of the month – in my case, the theme being “Vintage”. 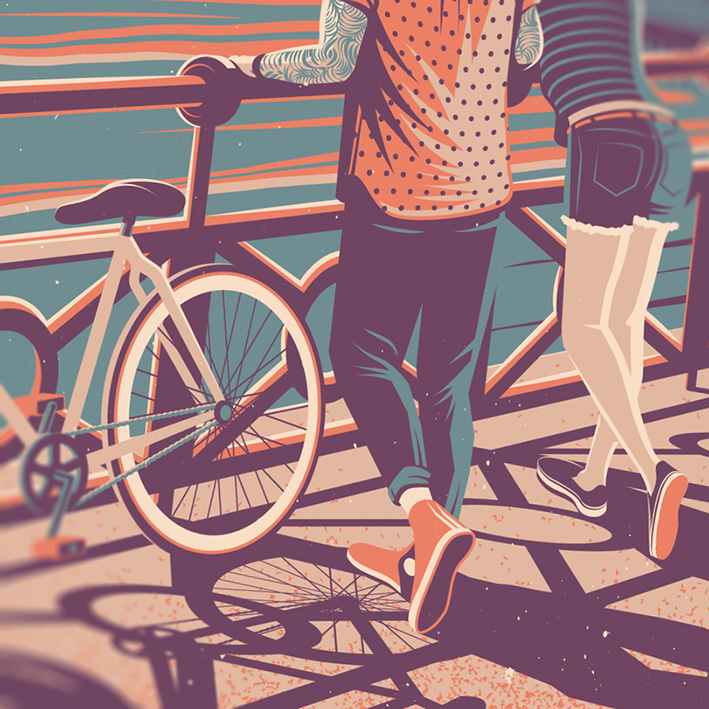 I met with the guys and, amazingly, both myself and the editors stumbled upon a similar direction; a modern twist on the vintage travel poster series from the 1950’s. These were produced by the national rail service to publicise the tourist towns and cities across the British Isles. 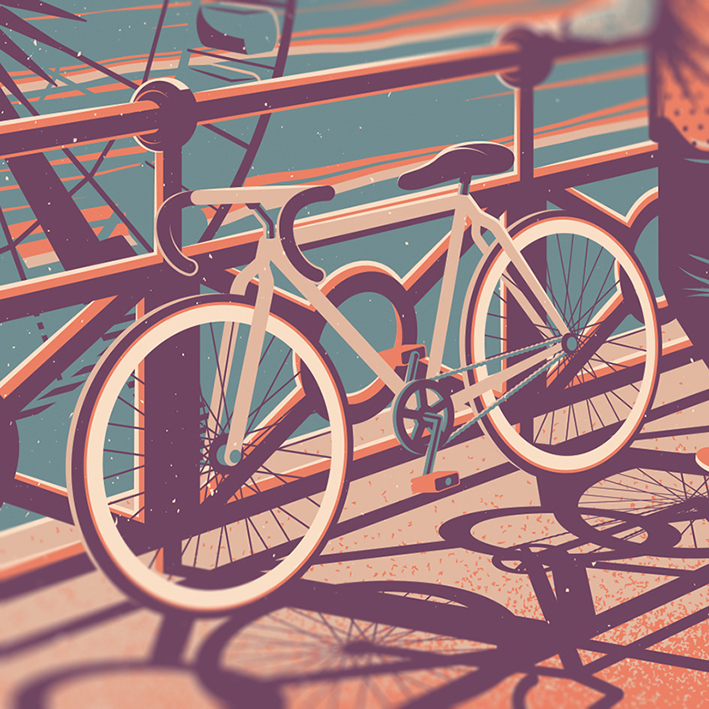 We both felt the bold, block colours and vintage sensibilities of this design style suited me down to the ground. 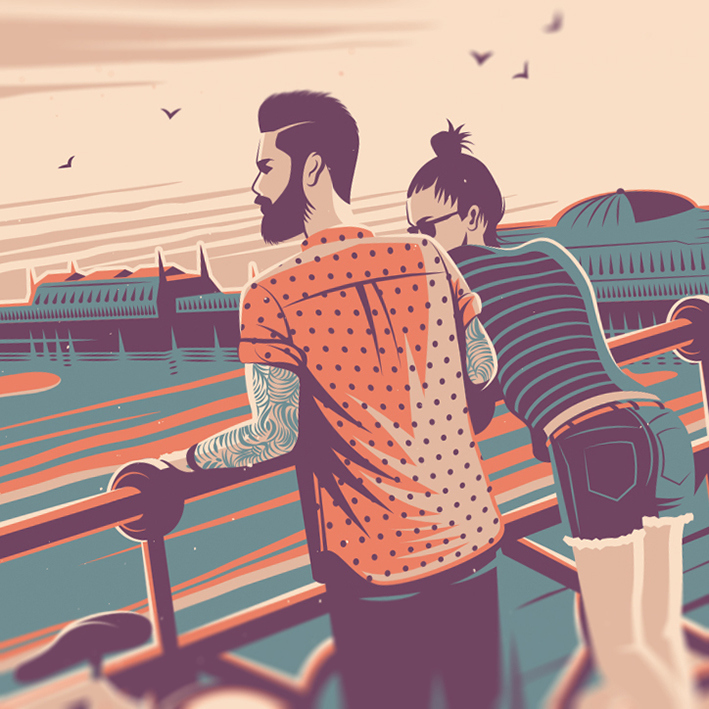 So, picking a stylised view of Brighton’s iconic seafront – complete with it’s famous pier – I brought the twee vista into the 21st century by adding the modern ferris wheel and a couple of cool, typically-Brighton hipster-types with their single-gear fixie bike. 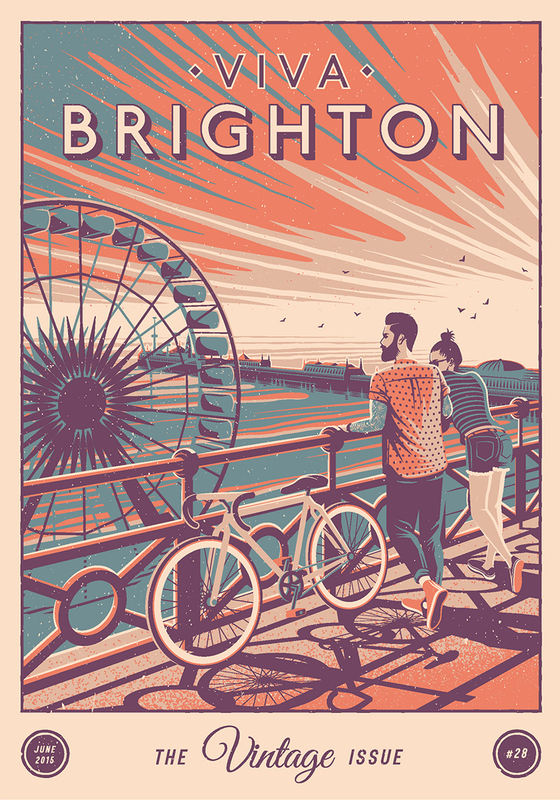 The original 50’s poster designs were rather abstract with their colour choices, allowing me to pick a bright, bold vintage-feel colour-way that reflected Brighton’s colourful outlook. Stay up to date with all of Thomas’ upcoming projects and collaborations by following his TWITTER page. 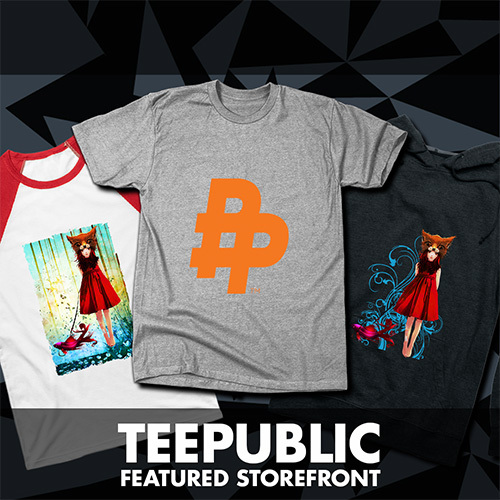 You should also check out his BEHANCE page to see more of his incredible portfolio.